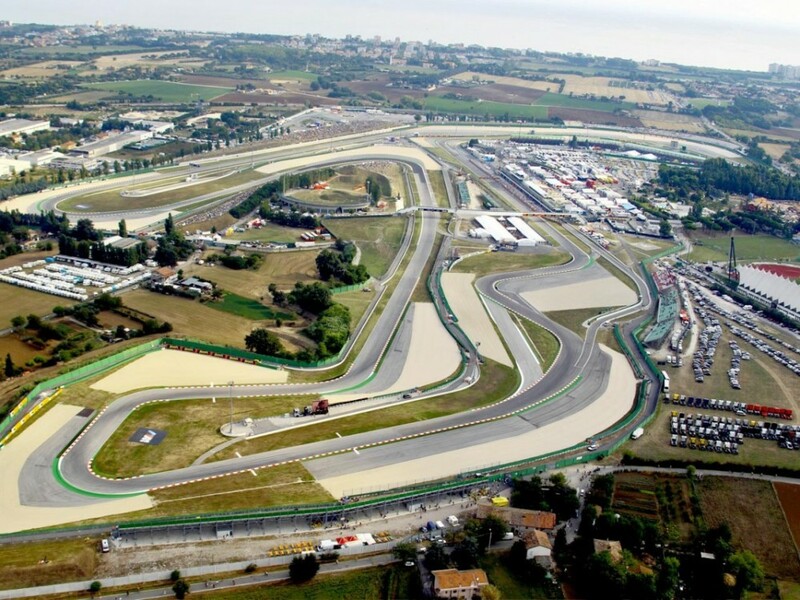 The corner at the end of the back straight at Misano is one of the fastest of the year. As a result, riders love it. Asked at the press conference if it made them nervous, the top three were enthusiastic. Before the direction was reversed in 2007, the “Curvone” was the third in a series of increasing-speed left-handers beloved by dirt-trackers. Now it is the first of decreasing-speed right-handers, demanding braking under lean, and a major technical challenge. With riders barely braking at that point, Brembo chose a different corner for their now-traditional “last of the late brakers” contest – the “Quercia” corner at the end of the earlier back straight, where speeds are cut from some 295 km/h to less than 80, over a distance of 222 meters. 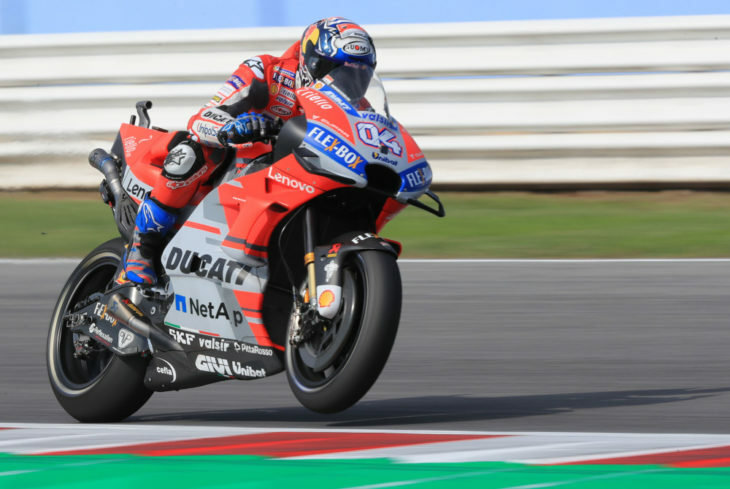 After ceding the position at Mugello to Marquez, Ducati’s Andrea Dovizioso was back on top of the daring parade, with Marquez second, then Rossi, Crutchlow and Lorenzo. Rossi kept up his tradition of a special helmet for home GPs, with his AGV lid sporting words and pictures based on the “Back to the Future II” movie, with Rossi as time traveller Marty McFly and crew chief Silvano Galbusera as mad scientist Doc. 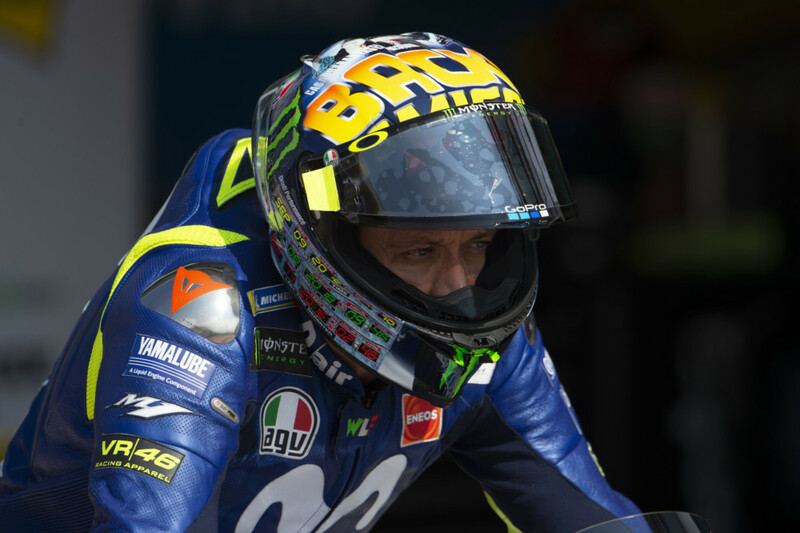 The “Back to Misano” theme reflects that he missed last year’s race at the track barely 10 km from his home town of Tavullia after breaking his leg in an enduro accident. You could almost here the cash registers ringing over the noise of the bikes. New Aprilia test rider Bradley Smith hopes to extend his racing experience next year as one of the first volunteers for the new eco-friendly MotoE series, which will field 18 identical electric bikes at selected European GPs. 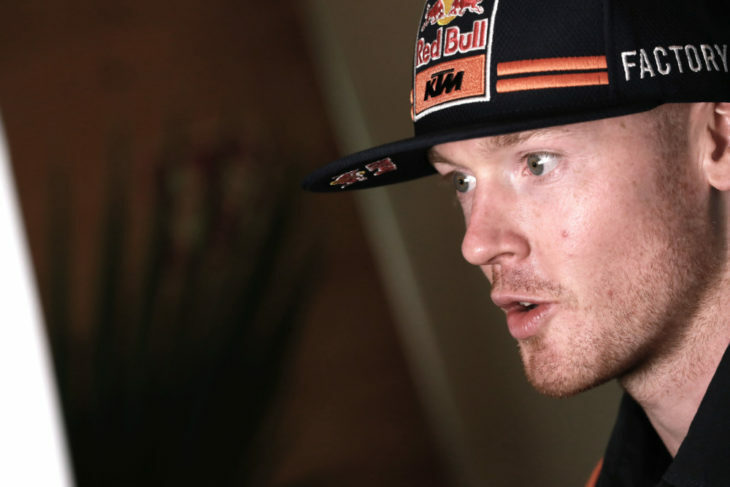 Smith has a one-year contract to test for Aprilia, in the hope that he might regain a full-time MotoGP ride in 2020. Marc Marquez’s sprint from gravel trap to pit box (which included a ride on a photographer’s scooter in between the leg work), and his subsequent narrow escape from another crash on his final run, were even more heroic than was obvious. It was all accomplished with a small stone in his eye, which he blamed for not being able to improve his time.